While savoring my morning cup of cawfee, I heard many young voices coming from outside. When I looked out the window, I saw a familiar scene. Kids with backpacks. Moms walking beside them—some with strollers in tow; some with dogs in tow; and some with both. All happily on their way to the bus stop! Today is the first day back to school! Who doesn’t love going back to school? ….especially when THIS is the meet & greet team! Oh the memories I have! Not only of my kids’ first days of school, but I have memories of all their school days. 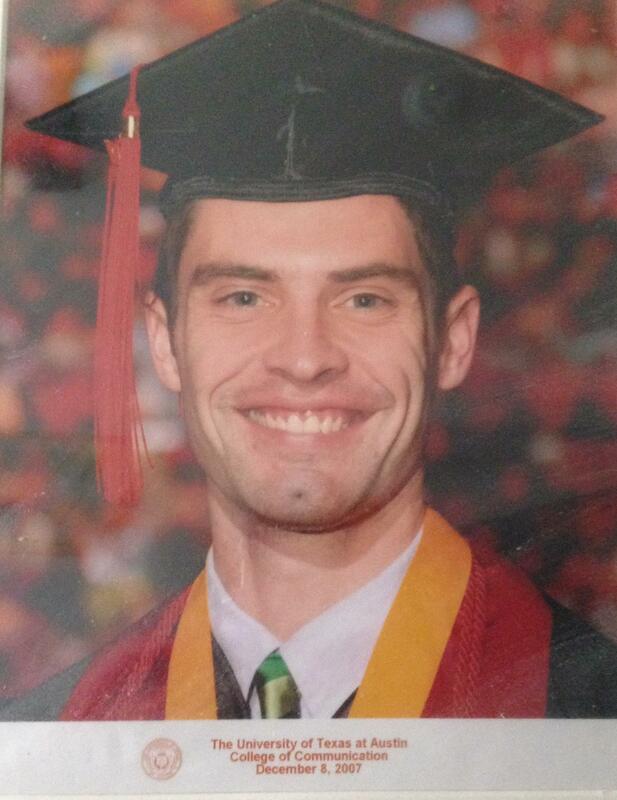 Years from Kindergarten all the way through college graduation have given me many fun and not-so-fun visuals. 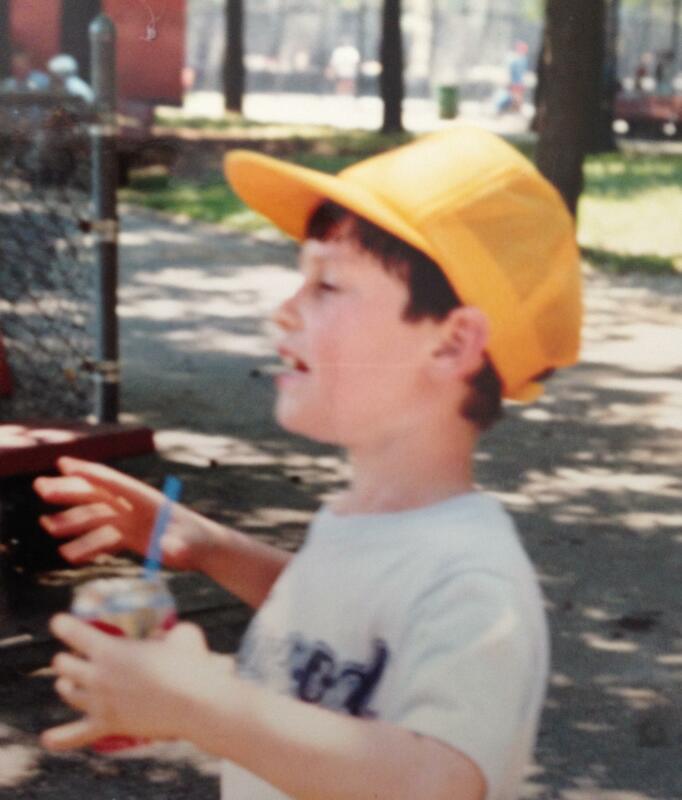 Jake’s first day of kindergarten paved the way of what the future would hold. 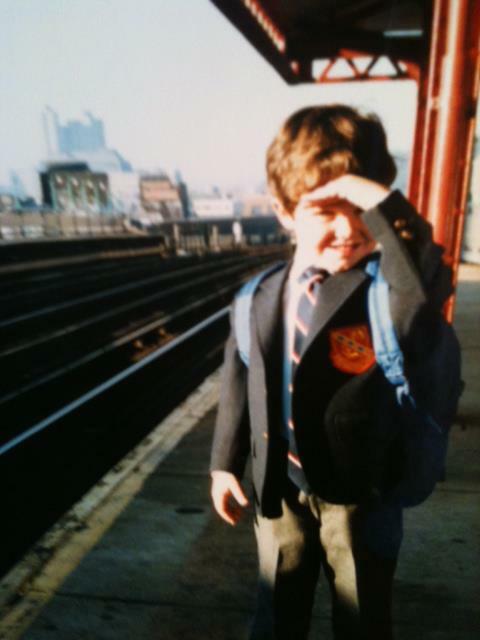 For me, it was a very sad day to take my then, 4-year old son on the subway to the Upper East Side and drop him off at St. Ignatius. I wanted him to be home with me all the time. When I saw him march off to his classroom with Mrs. Wescott I started to cry. Jake shot me a look that said “Stop it!” and he ignored me. Jake’s first day of school–on the subway platform for the ride to St. Ignatius! Ten minutes later I was seated in a restaurant having cawfee and breakfast with a group of new mom friends—friends that remained for a long time. That first day wasn’t so bad after all! Roman’s first day was a bit different. He exited the school holding his stomach in pain. One of the nuns saw him and told me to follow her, Roman in between us, to the boy’s room. He had to go and was petrified of going down to the bowels (pun intended?) of the school by himself! After that incident—he was fine. 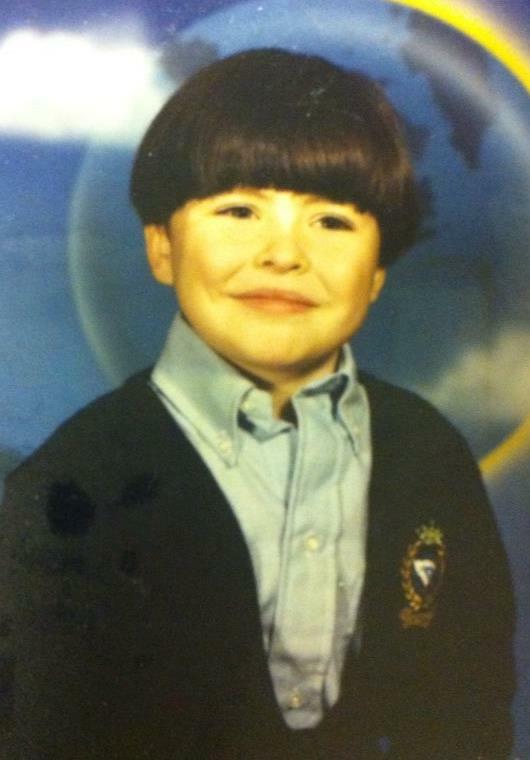 By the time Roman entered Kindergarten, I wised up and drove the boys to school! Oona’s kindergarten experience was different. She was my only child to start school in the suburbs AND start in public school. The principal of Bear Tavern School made home visits to the incoming kindergarteners. Oona looked at him and told him very firmly “I’m NOT going to school”. “I’m staying home with my mommy!” (Secretly I loved that!). The principal pulled me to the side and told me just as firmly “You are NOT going to drive her to school on the first day.” “Oona will take the bus.”. He was so stern that I had no choice! There’s Oona front and center. She may have attended Kindergarten in public school, but I dressed her like a Catholic school child–plaid skirt and white shirt! A great bus driver is so important–and we’ve had some great ones! When she saw me, she ran up and told me that she couldn’t wait till the next day to go back to school! And then there was the mad rush for supplies. Me, being “bad mom”, was never in a hurry to carry this chore through during the end of summer vacation. It was far more important for me to sit and bake by the pool while the kids went swimming! I was the mom who had to scramble to ten different stores to find the supplies that the previous stores ran out of! Needless to say, the boys weren’t that much phased by my lack of supply interest, but my tardiness with school supplies drove Oona up the wall! It usually took me a trip to about ten stores to round up the needed supplies–and every year I vowed to do it early the next year! Never happened! 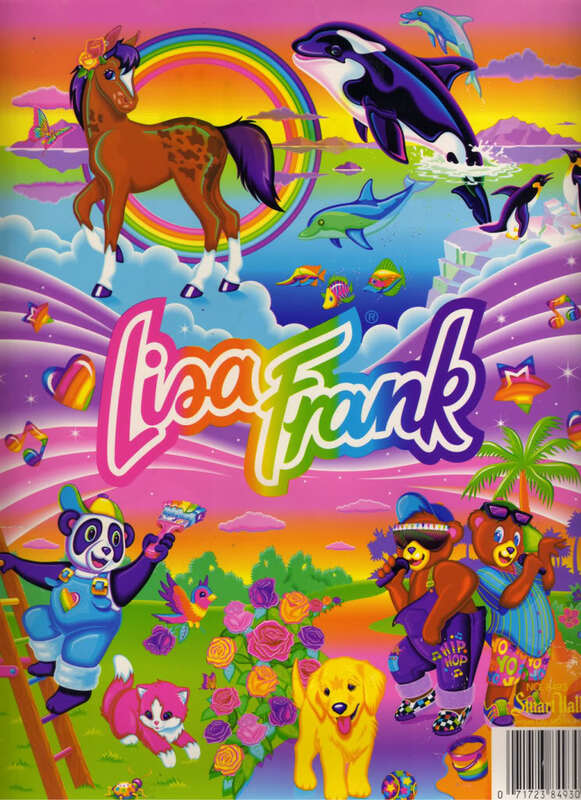 God forbid the stores run out of Lisa Frank- notebooks, folders and stickers-it was major meltdown for Oona! Last year I found out that Oona was traumatized because the one thing she ever wanted was a monogrammed L.L. Bean backpack. 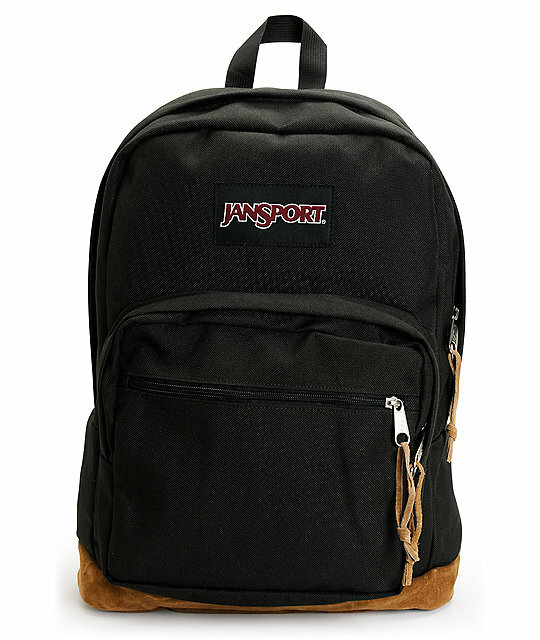 She hated the fact I only bought Jansports. One year, I apparently had a Jansport monogrammed in an effort to please her. It didn’t work. I have absolutely NO recollection of this backpack issue. I’m pretty sure it has to be because whenever she asked me for the L.L. Bean backpack, I must have been on my bed, pillow resting between my legs and groaning with the worst menstrual cramps—it’s the only excuse I can think of! But seriously—the other memories I have are just fun. 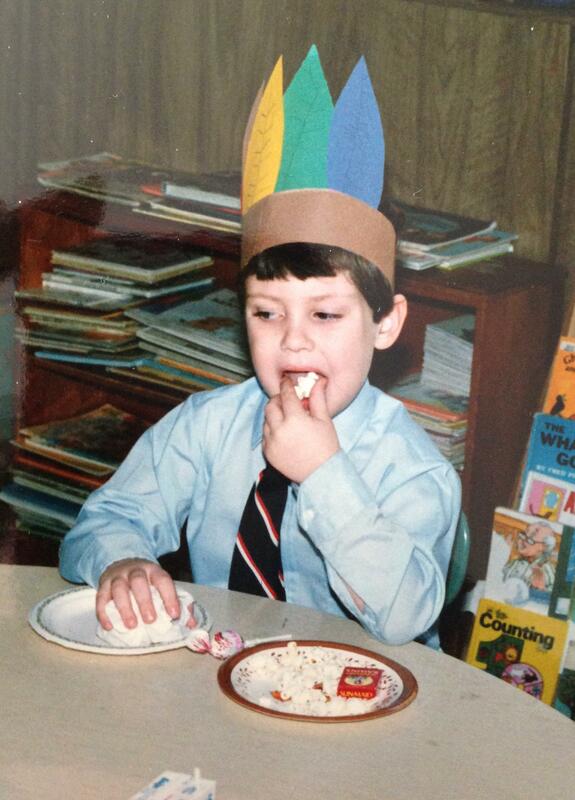 After we moved to New Jersey, our neighborhood tradition was a first-day-of-school pizza and cake party. This was such a success that the kids looked forward to this all through High School! 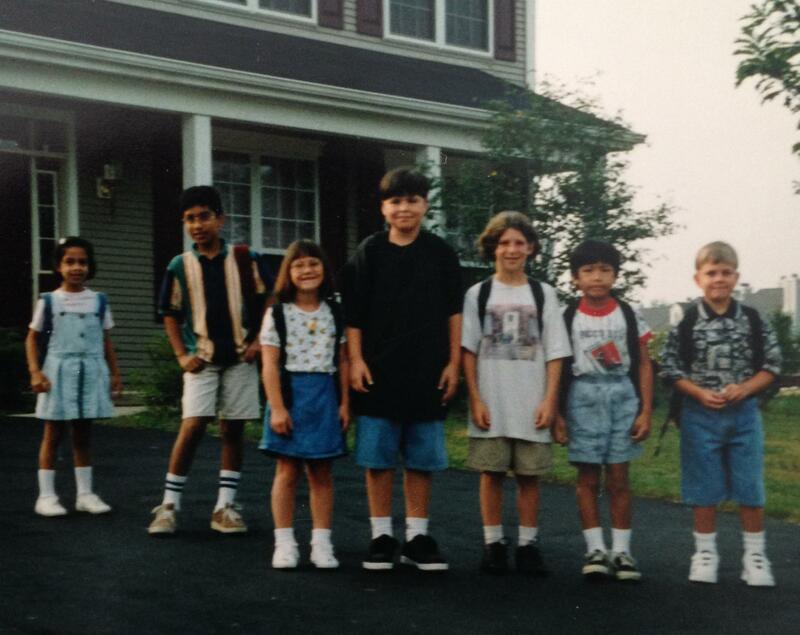 One of the many “first-day-of-school” pics of the Navesink Drive kids! I love this pic–it’s like the “Our Gang” of the 90’s! Running around like a crazy-person to get the kids to their various sports activities—there was always a soccer, basketball or baseball game going on. Driving Oona up to North Jersey for Irish Dance classes sometimes three times a week. Baseball games in Inwood Hill Park before the move to the ‘burbs! The results of thrice-weekly dance classes and homework in the car! 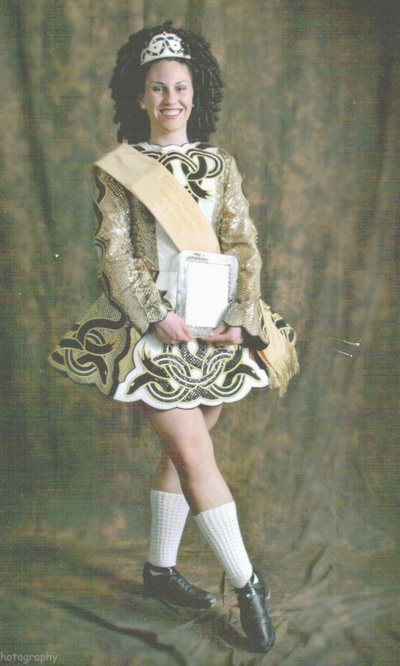 That’s my favorite dance dress of Oona’s–its the only one we saved and didn’t sell. 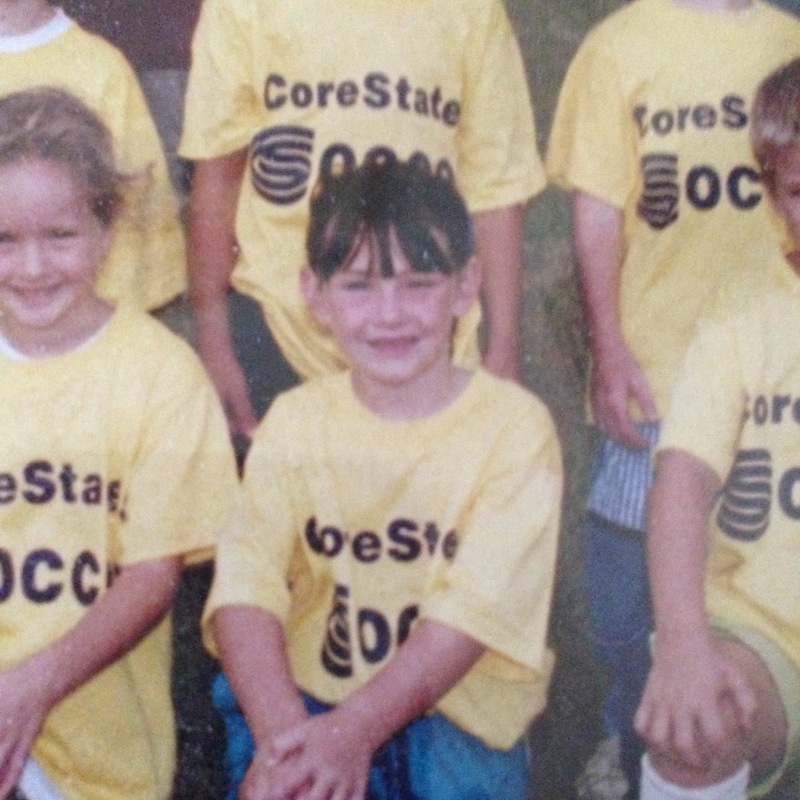 I think Oona stopped playing rec soccer due to her allergies! She suffered terribly as shown here. BTW, I still cannot find all the pics of the kids. I can’t find Roman’s baseball or soccer pics. I feel bad–more proof of bad mom! My Town and Country minivan serving as a homework nook AND dining car—while driving more than three bodies around! 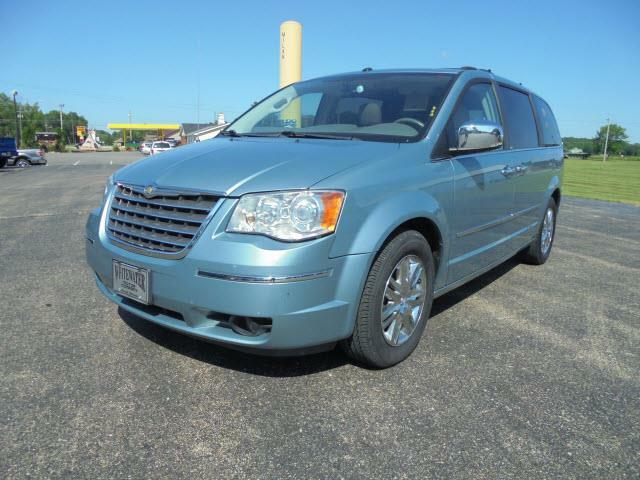 My beloved Town and Country Minivan was this color–and the fun and drama that went on in that car was priceless! The misadventures of being both a room mom AND a P.T. O. queen! 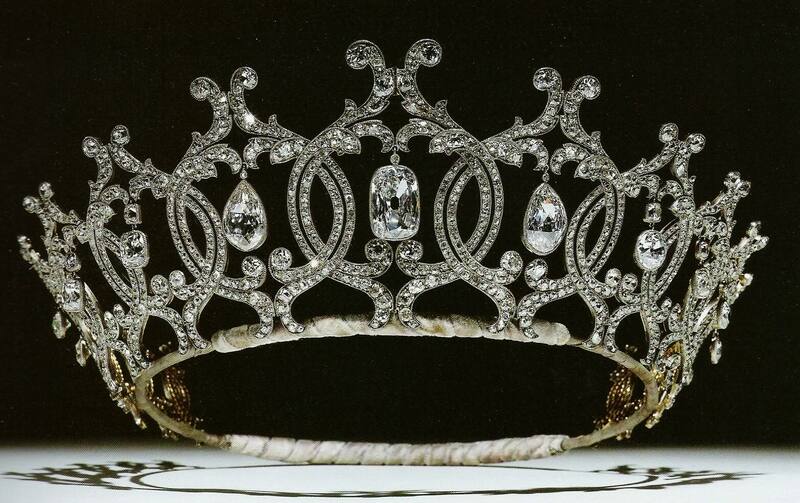 My PTO Queen tiara that I wore so well! Baking treats for the kids’ classes and being a part of various school events. 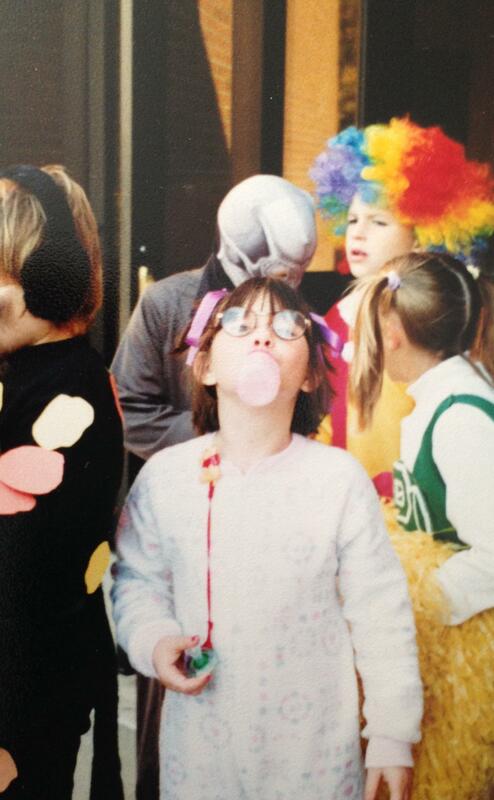 Halloween in public school was much different. 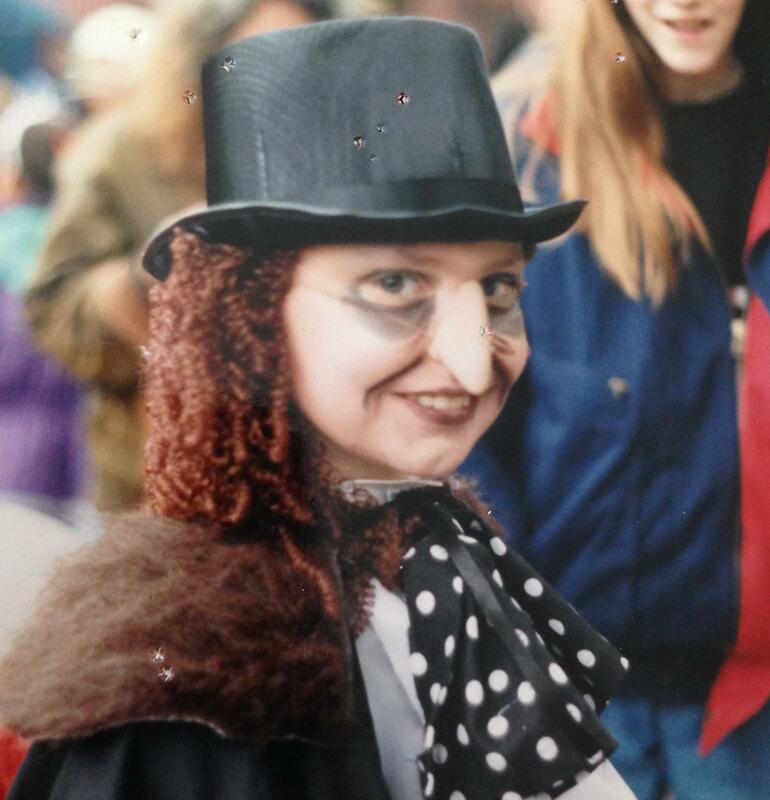 You weren’t (and I’m pretty sure still are not) allowed to wear “scary” costumes…. 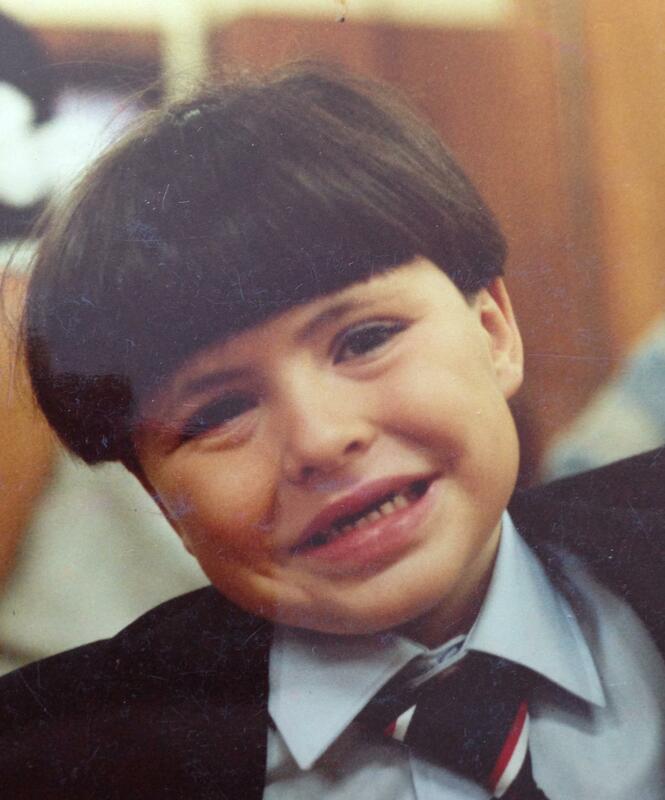 Catholic school was more liberal–Roman’s my little Dracula…..
…and Jake was the Penguin. Scary! Ohhhhhhhhh. I loved the way Jake was so methodical about his homework process during his middle and high school years. He would lay all his books on the floor of his room—opened to the needed pages. He would turn his TV or CD player on for background noise and assertively approach each subject. As each task was done, he would close the books-like an assembly line. He was incredibly disciplined. Even in Kindergarten he would methodically attack each letter of the alphabet for that night’s homework. If he went over the line, he would start again. Roman took a more devil-may-care way approach to homework. It didn’t matter if he went outside the lines because he just did it and was always happy to finish the project. As he got older, sometimes he would just “forget” and would rely on his charm—which worked! Oona was a blend of the two, serious less disciplined! But boy, could that girl attack a book. She loved to read! Helicopter mom notwithstanding, I remember when Jake was in second grade and received a “B+” in one of his subjects. Jackass that I am, made a remark about his “low grade” to his teacher, the wonderful Sr. Genevieve. She told me that she was a teacher far longer than I was a mother and if she gave even the best students all “A’s” in the second grade, what did they have to strive for? That was some of the best advice I ever heard from a teacher—she basically told me to chill. 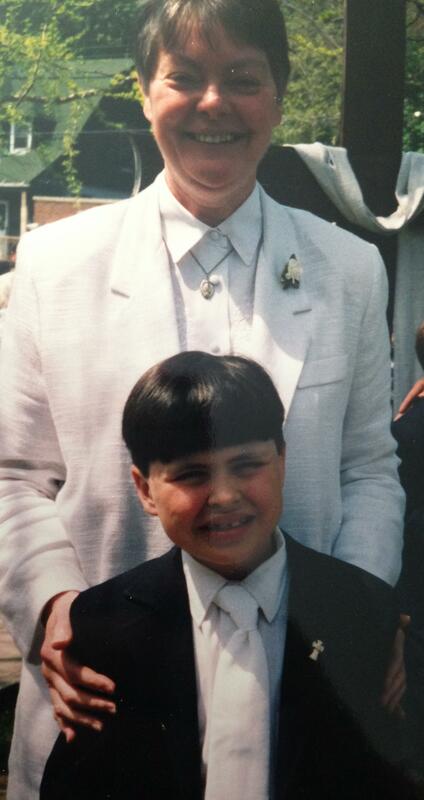 Sr. Genevieve–here she is with Roman at his Communion! One snowy days she would have the kids turn their desks toward the window to watch the snow. At the end of the school year she would give awesome homework assigmnents such as “go outside and play in this wonderful weather God has given us”–I’m not kidding–THAT is the best homework assignment any lazy mother could wish her kids to have! Another teacher, Sr. Christine also put me in my “obnoxious mommy” place. I asked her why she wasn’t giving the first grade students study guides for their mid-term exams. She reminded me that my child was in first grade. She also reiterated that if she wasn’t getting through to their six-year old minds, then she wasn’t being a very good teacher! 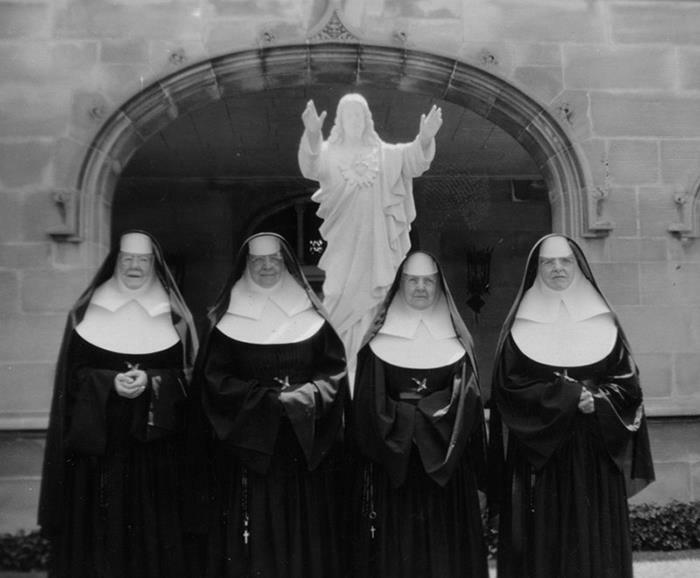 Gotta love those nuns! Gotta love any great teacher and my children, for the most part, were lucky! School years are not without drama though. There’s always the mom and dad whose kids will always be better, brighter, smarter, more advanced than your child. I avoided those moms like the plague! Here’s an oldie but goodie. Nothing says “Thanksgiving” celebration better than raisins, popcorn and a lollipop! 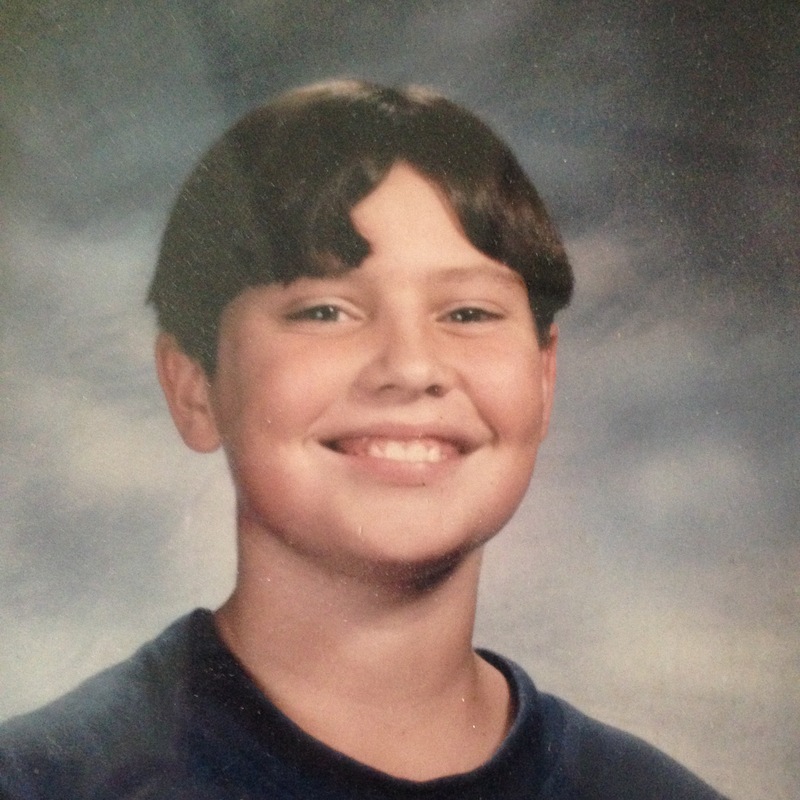 Jake–I think maybe 4th grade. 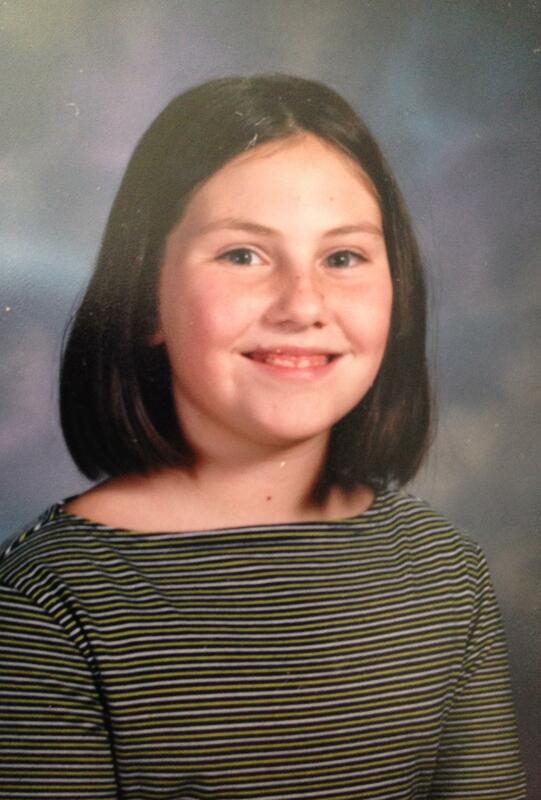 I could never figure out why the kids didn’t have to wear uniforms on picture day–it was more work for ME! 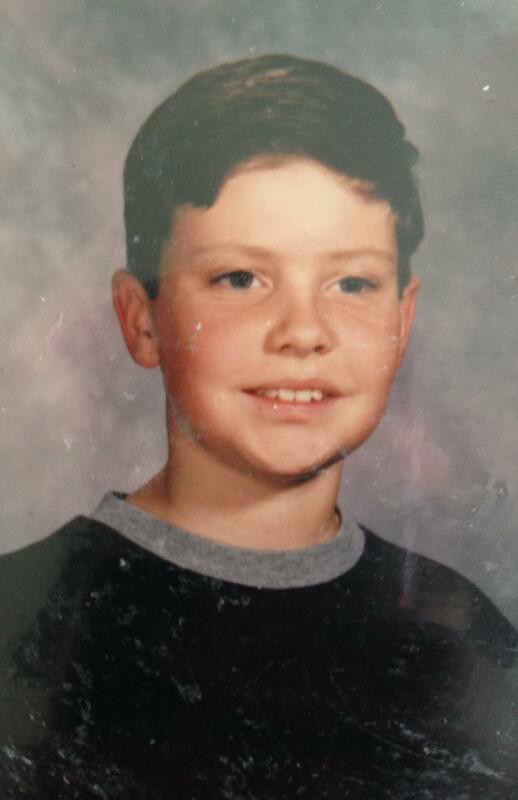 Into the ‘burbs and Junior High Jake! Jake at University of Texas. 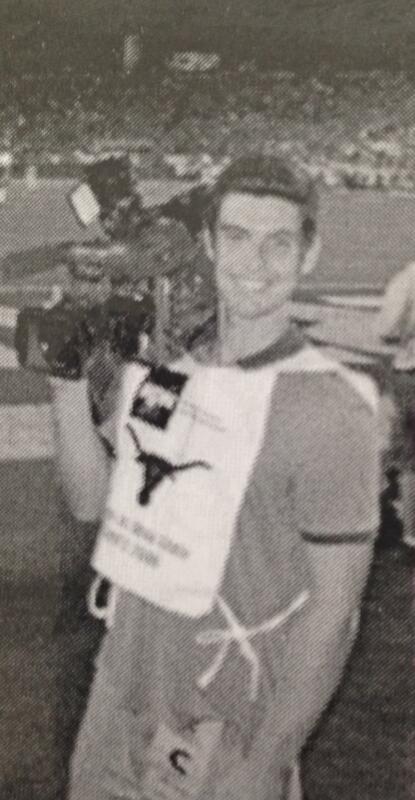 His job during his college years was filming Friday night high school football. A real-life Friday Night Lights! 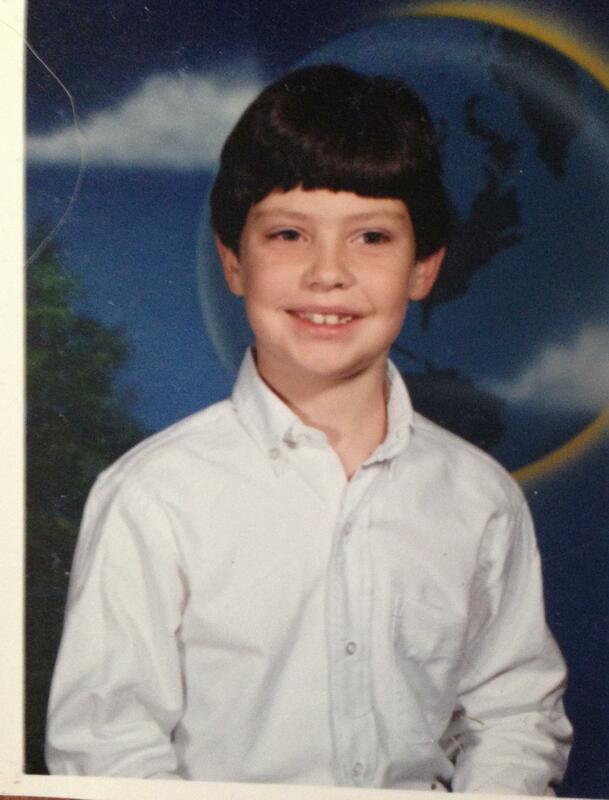 Roman–First grade or Kindergarten–am I the only mom who doesn’t date the back of these school pics? 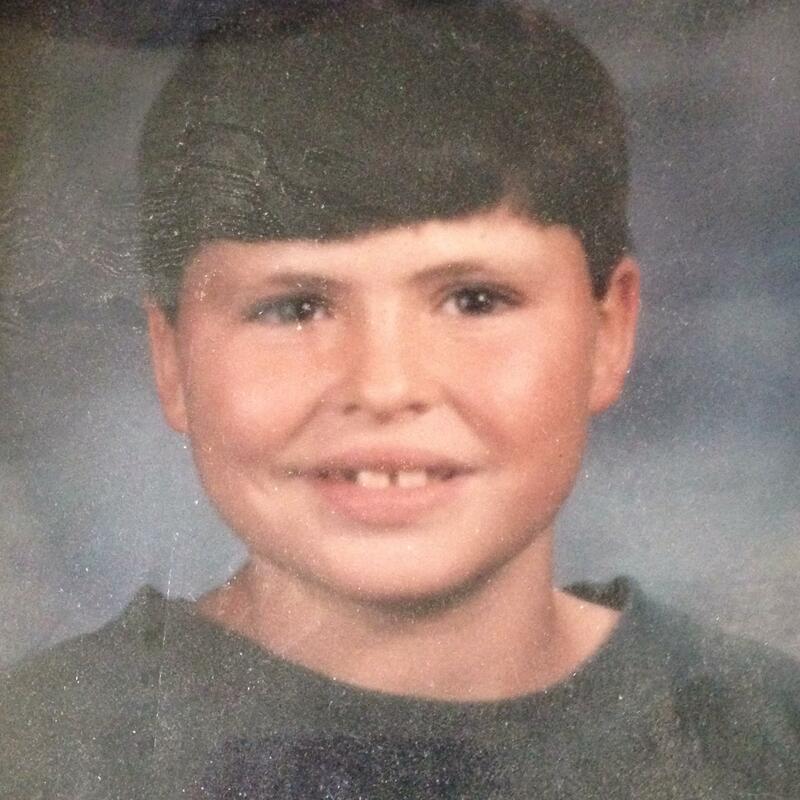 This looks like Third Grade Roman….. I can tell you this was Sophomore High School Roman. We were at a baseball awards dinner and I protested to have it held somewhere else besides the place we had it. There was NO A/C and my hair was a frizzy mess! Roman looks adorable though! 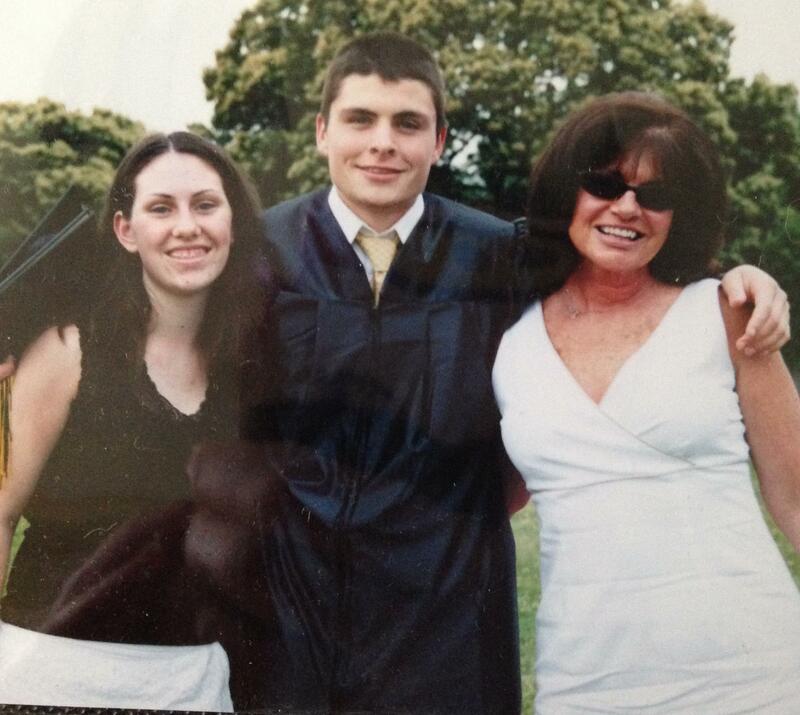 High School Graduation Roman! He looks so pensive–maybe he was afraid I would embarrass him! Oona, Roman and Me–Jake stayed in Austin during his college summers! Wow-I had premature turkey neck! Graduation-City College of New York! I call this Roman’s “Boris Badenov” look! 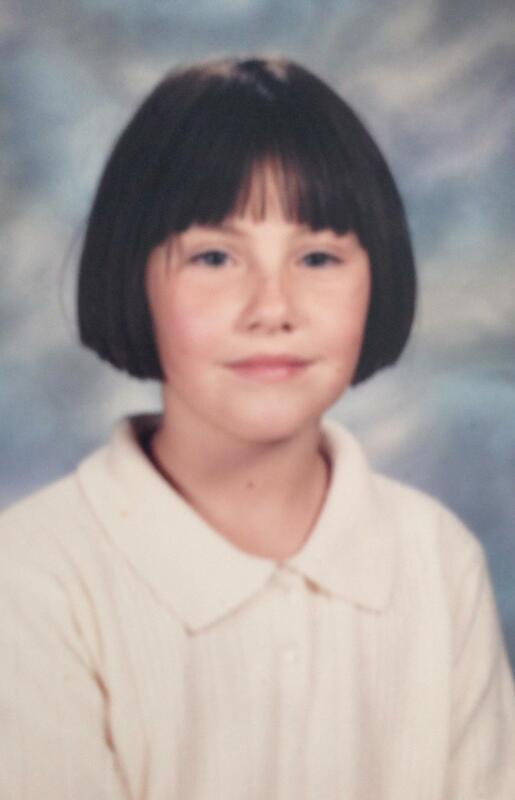 My favorite school pic of Oona. Her allergies were bad, but I just loved this haircut on her! 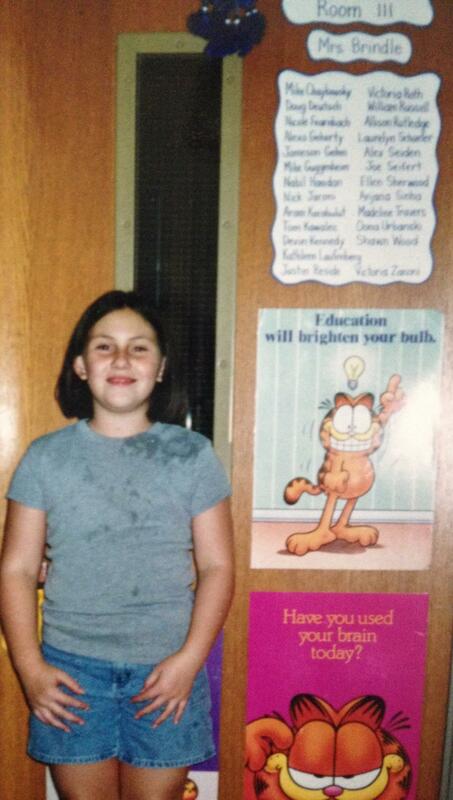 Third grade! 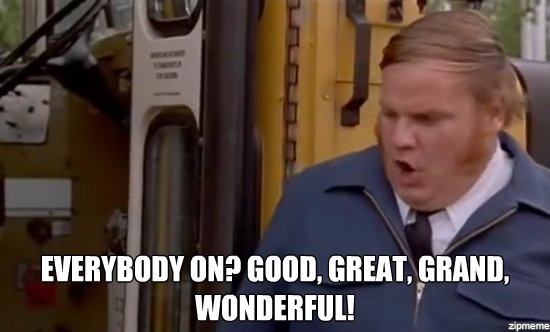 Getting on the bus in first grade. 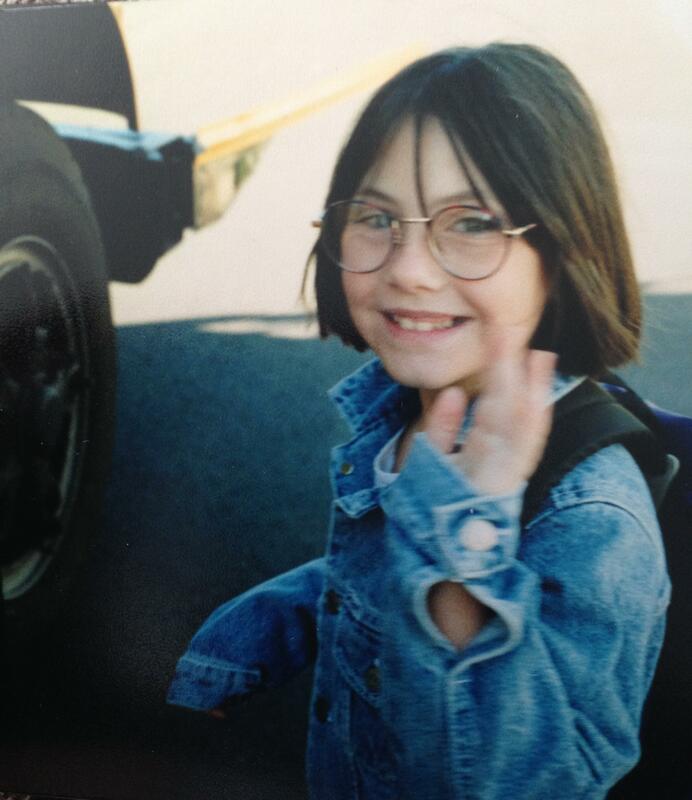 Check out the glasses and denim jacket! What a little fashionista! This is crazy! In the first place, I have NO idea what those stains on Oona’s shirt are from? Maybe it’s water! But–I give Oona a shitload of credit for actually allowing me to go into school the day before school started and snap this pic in front of her classroom. 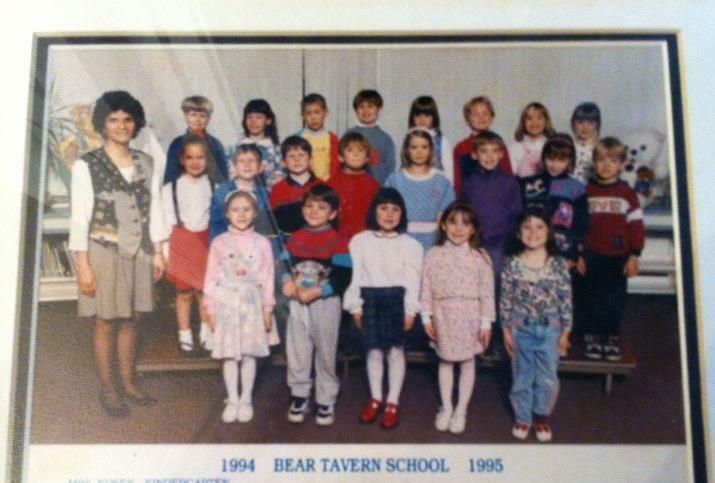 Mrs. Brindle, her teacher was so awesome. I’m feeling extra bad because I cannot believe I would let my daughter leave the house with a stained shirt!!! Either I surprised Oona or she was just stunned from spending so much time in the car going back and forth to dance classes! Team awards at the Oireachtas. 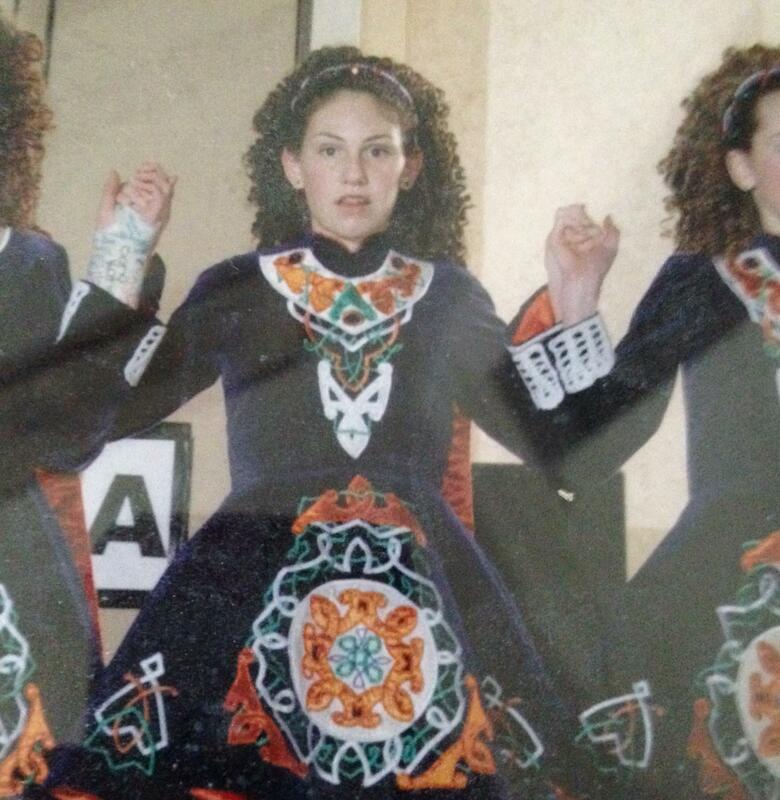 Irish Dance was her sport! Graduation. 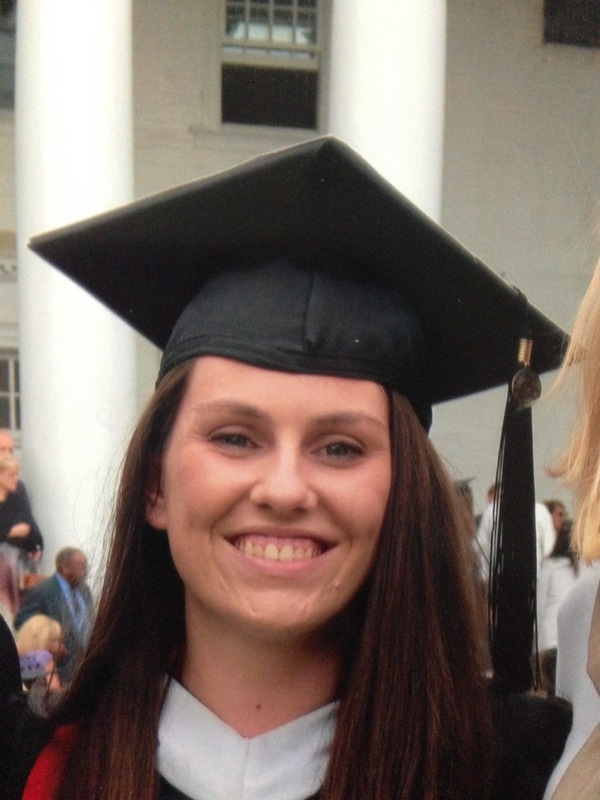 My little Delta Gamma girl graduated from U. of MD! Before you know it, Kindergarten is a fleeting moment and you will be looking at colleges—then you’ll turn around and your child will be an adult venturing out with a career and a new life—one that excludes you! So enjoy every moment. Enjoy the tears and the fears and the excitement and the crushes and the activities and great moments and the awful moments because they just go too fast! 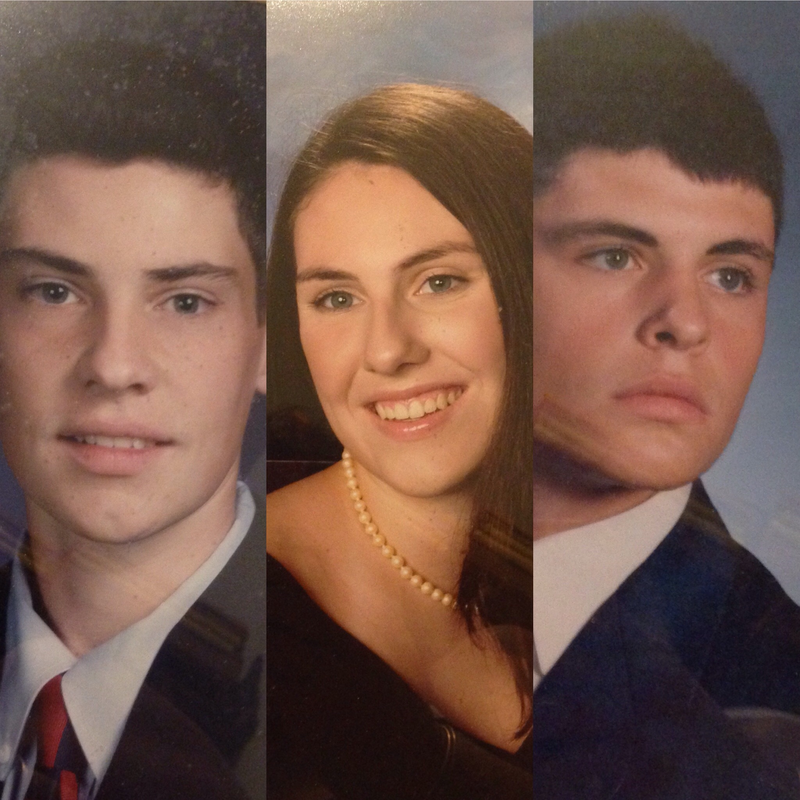 My babies’ high school senior portraits! Here’s to you Jake, Roman, and Oona. I thank you for allowing me to be a part of your school days. Thank you for never being embarrassed when I showed up as room mom or as a chaperone for a field trip. Thank you for dealing with my screetching and squealing during your games and other activities. Thank you for allowing me to be a proponent of yours! Thank you for giving me the best memories a mom could ever want!!! Today– I HAVE to give you The Beach Boys “Be True To Your School!” Rah Rah! 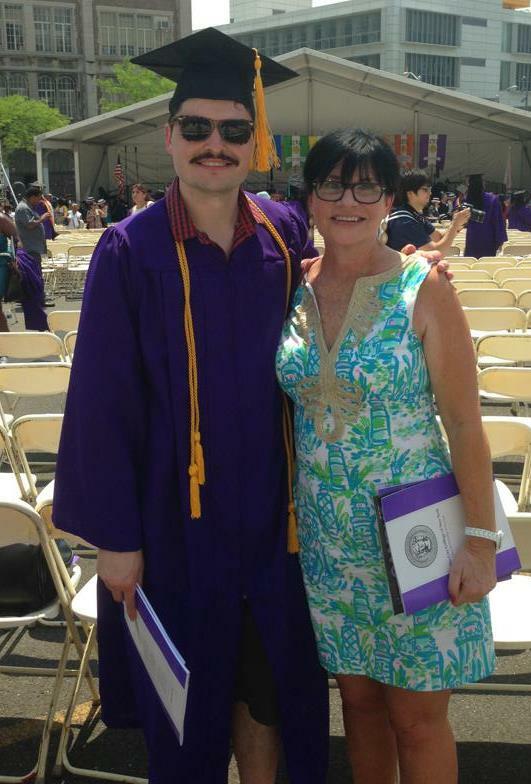 18 Responses to Empty Nest Mommy Looks Back At School Days!!!!!!!!!!!!!!!! Thanks Spear! Those school pics. With all the money I’ve spent on them in the past, and the many packages of various sizes you would think I could have found more of them to post! LOL! XOXOXO!! Oh yes, reminiscing. You have a lovely bunch. 😉 I hope they are happy and leading a full life. I have the same pics, but seen from the French side. State school, some invested teachers, many others….not so much. Kindergarten was the best time, with lots of laughter and outings. Then the grades came along and with it the French system of selection by math and science. Now they’re grown, my boy has joined the work force and will move out shortly. My daughter is preparing a bachelor degree and still at home. It’s back to school this Tuesday morning for the French kids. I’m glad I’m out of it. The Education Nationale was driving me bonkers! 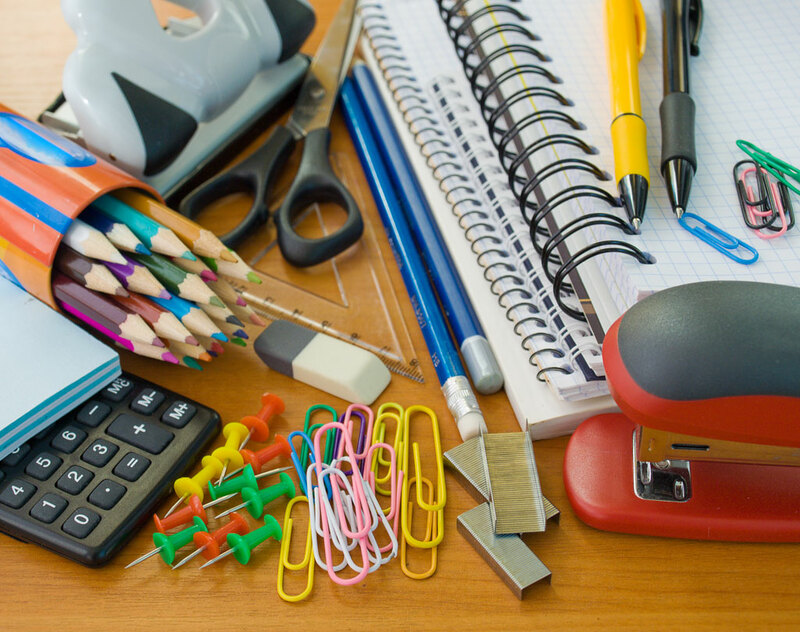 And yes, the school supplies. Groan!!!!! Hi Bougie! Thank you–they are quite the lovely bunch and happy and well and all with successful careers! You’re lucky that your kids are still at home! I wouldn’t mind living in NYC again…in a brownstone and have the kids back with me–unfortunately NYC prices are only for the wealthy these days..LOL!!! XOXOXOXO!! How gorgeous is Oona’s dress?! No wonder you kept it 🙂 Not being a mother, I treat all the kids I teach as my own and have similar feelings when they move onto a new chapter. I’m a mess at the end of term when they leave and I’ll no doubt be fussing mother hen when we return to school next week! Hi Haylee. Oh..that dress–and we’ve had plenty. All the dancers used to call it “Snakes on a Dress” (remember the movie “Snakes on a Plane”?). That dress received so many compliments. Oh–I LOVED teachers like you–and the kids did have teachers who treated my children like there own. You must be an incredible teacher and your students are so lucky!!! XOXOXOXO!!! This time of year makes me wistful – the time goes by too fast! On the other hand, I don’t think I could cope with little ones about at this point in my life! You have a beautiful bunch of kids! Right??? gk–I get very sad in that wistful way so badly! But you raise a great point–I think at this point in my life, it isn’t necessarily the little ones I couldn’t cope with–it would be their parents!! Oh boy, you cannot believe what I see……………….XOXOXOXO!!! You have such a beautiful family! I loved this post, especially the over the years pictures! Thanks Arpita! Over the years photos are just the greatest providers of visual memories! My goal is to go through all our boxes in the garage and storage to collect the photos I cannot find!!! XOXOXO!!! Yeah Bun–I know what it is like to be the second shortest. The boys are so much taller than me and Oona is the only one shorter–it pisses her off too! The only thing I have control over–Hehehehehe! 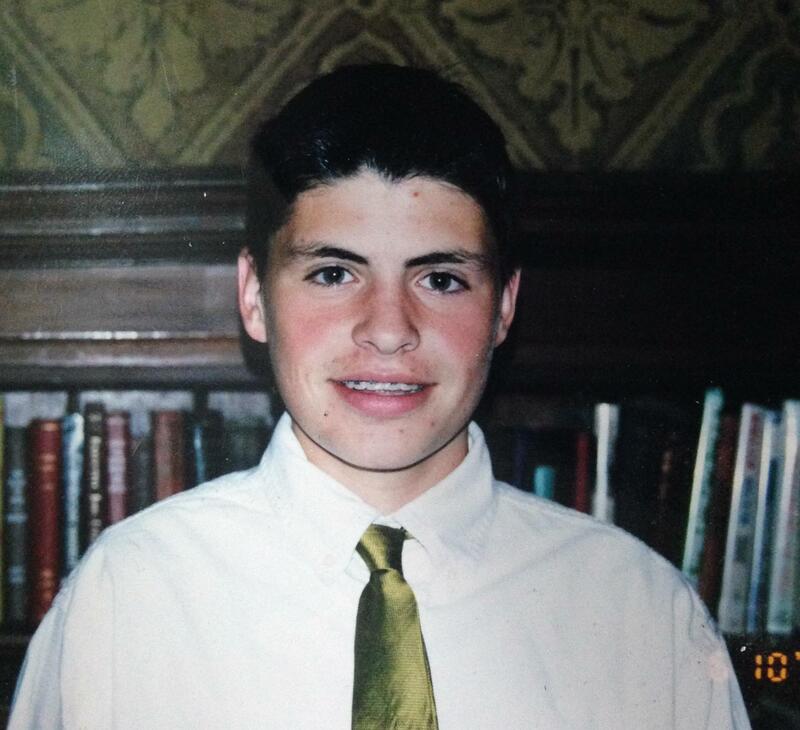 But I do miss those days when they were younger–we can be glad we have fantastic memories though! XOXOXO!!! I’m sure you had a wonderful trip down memory lane. This is why I scrapbook. I get to constantly re-live all the great memories. Diane—I scrapbooked quite a bit—then I found Shutterfly and started doing that–but it’s a lot of work. I have a friend who has been incredibly helpful, though, in assisting me with my scrapbook endeavors! A GREAT way to preserve memories!! XOXOXO!!! What a wonderful, fun post! That picture of Roman with the mustache is just priceless. It reminded me of our own neighborhood gang here. I may have to think of a post to do. Will ping you if I do one. Loved this! OMG. Bonaparte offered Roman $200.00 to shave his mustache off! Can you believe it? Bonaparte was literally beside himself–then Roman shaved (but wouldn’t take the offered money), and got a tattoo…Bonaparte was, again, beside himself! I think that ‘stache was Roman’s funniest look! Definitely do a post about your neighborhood gang. It’ll be so much fun to read!!! XOXOXO!! !